The activities of Satadhar has spiritual and direct attachments with the supreme power of lords, as here daily two time AARTI – DHUP – PUJA ( one at morning and other at evening) is conducted with true dedication and praying for better society having the positive vibrations towards life. Daily over 5000 devotees visit SATADHAR and be blessed by the spiritual atmosphere, there gathers devotees in lakhs also at the time of SHIV RATRI and the ASHADHI BIJ. 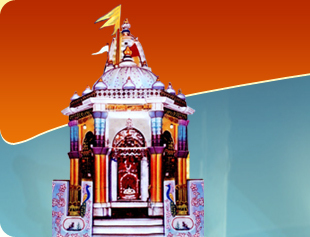 Temple not only energies the devotees but also provides entertainment but with message regarding the styles and the values through LOK DAYRAs held by eminent and famous personalities of Saurashtra. All the festivals of Indian culture are valued and enjoyed with great enthusiasm and spirituality at here. 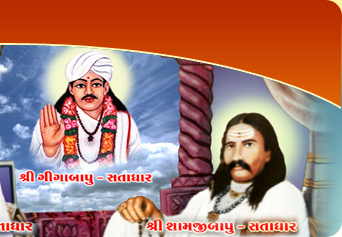 Lord AAPAGIGA has established here SHIV Temple and started serving with true dedication as said by DAN GIGEV – his GURU. He also started the GAUSEVA – Serving Cows and ROTLO – Free Lunch & Dinner to everyone who comes there. This was the starting of this divine purpose for spiritual upliftment which is still in progress to help the society. Here any type of person from a Millionaire to a poor are treated and blessed by the same way. As there is no contradicting between the human being. 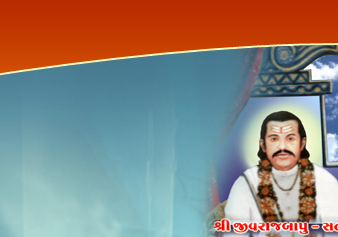 Everybody gets warmness of the atmosphere and be benefited by the blessings of lord AAPAGIGA. Pujya Shri Jivrajbapu is the simplest man ever seen, as he sees every human being and every situation as the almighty’s wish. He gives blessings as well help society economically as well as developing the agriculture and social culture at together at satadhar. He inspires the farmers near by satadhar and gives all the facilities at his best for the upliftment of the social values needed. Over thousands of the devotees get the experience of true social values and the pure culture of Indian spirituality over here. It’s not too much to say that everyone who visits Satadhar always takes something from here which will be helpful throughout his/her life. Shri Vijaybapu, a very talented and strong personality who is currently engaged in the development of Satadhar and giving the true shape to this powerful place. He has put his efforts truly in making of the GAUSHALA – which is the largest of Gujarat ever. He is also planning for Educational and hospitalization facilities over here. He inspires the youths to develop and value the society as well as be strong in the academics as well. Numerous cultural and social festivals are enjoyed here with true dedication and in the purely original form. Here festivals like Ashdhi Bij, Guru Purnima, Junagadh’s Girnar Pradishina etc. are enjoyed with full of happiness and joy. Volunteers throughout from the Gujarat & India come here to devote their time for the true purpose of the social Function and managing the devotees who comes for the Darshan – Serving of God. The main purpose for all these festivals is to keep the values and culture of our Indian Spirituality as in its intended form. Many youngsters and people do not know the value of culture in their social life which can be easily understood by these types of festivals even with fun. Gaushala is a place where cows are kept generally known as cattle farm, but here cows are seen as our MATA – Mother. As said in our ancient culture, cow is said to be our mother and serviced like Goddess. Here at Satadhar there are hundreds of cows and buffalos. They are used for milking for the devotees who visits Satadhar and also the people of the Villages nearby Satadhar. Today here there is an established GAUSHALA with full facilities for the all purpose which is functioned at here is available due to efforts put by Shri VIJAY BAPU. He has given his full time, support the very true purpose and set an example to society by giving a biggest and Royal GAUSHALA for these dumb creatures. Such a nice Gaushala is like a five star for the cows. All the natural things are found in the environment of the Satadhar from Air to Water and from Sound to Food. Satadhar is place covered with sheet of greeneries of the great GIR area which is famous world wide sanctuary. All types of trees in millions of amount are planted here and treated with full dedication. Here there are also many wells which are used for irrigation of the farms near by satadhar and a big ‘Lakshaman Ghat’ – a big bath tub which is used spiritually by the devotees for bathing purpose. There is a dam also nearby satadhar which proves water for the villages as well as the place of satadhar. In the Kitchen of satadhar today also purely the woods are used as energy purpose which is useless and saves the energy – ultimately helping the world from the effect of pollution and global warming.